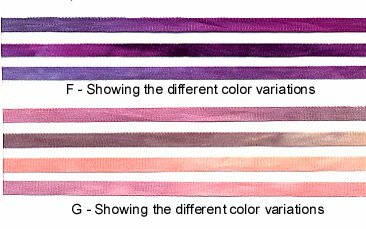 4mm Variegated Silk Ribbon. Select style from the samples shown. F IS SOLD OUT. Price shown is for 4 yds.